This offer is subject to availability of hotel accommodation and subject to our Terms & Conditions. Includes return airport transfers in Rio de Janeiro, sightseeing tour, daily breakfast & one lunch and five nights accommodation in Copacabana. 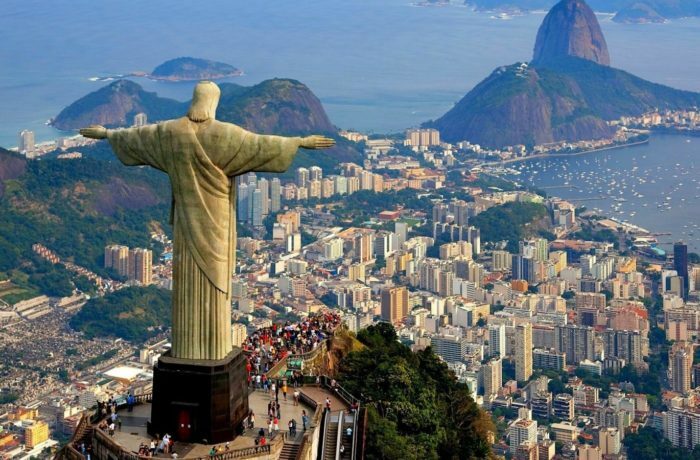 The residents of Rio have a saying that God created the world in seven days, the eighth he devoted to Rio de Janeiro. As you stand on top of Sugar Loaf Mountain at sunset, with the city winding its way around the granite peaks, forests and golden beaches below you, and with the statue of Christ the Redeemer, arms aloft, high behind you on Corcovado, you may be inclined to agree. It is a city that will keep you busy, whether you are exploring the colonial centre, relaxing with the locals on the golden sands of Copacabana or Ipanema, taking the tram to bohemian Santa Teresa or hang-gliding off one of the peaks to the beach below. You could also attend a football game at the mighty Maracanã Stadium or visit the Museum of Contemporary Art in Niteroi, enjoy the white beaches, the mountains, the churches and the beautiful suntanned women. Arrive in Rio de Janeiro today, one of the most the world's most vibrant cities. You will be met at the airport and driven to your hotel in private vehicle. Today take a guided tour of Rio's highlights, including a trip up Sugar Loaf Mountain, the iconic statue of Christ the Redeemer. Enjoy a barbecue lunch. Free days in Rio to stroll along the beaches or arrange further tours - you could visit the Botanical Gardens or try a typical cookery class. Private transfer to the Airport in time for your flight home or your next destination. There are a number of factors which will influence the price of your travel arrangements, including any additional services added to the basic holiday and prevailing currency rates of exchange.